While there are several classes of antidepressant medications, those most commonly used in the United States since the 1990s are selective serotonin reuptake inhibitors (SSRIs). Several scientific studies of SSRI complications have been undertaken since their introduction, including those by Harvard Medical School. Real risks are associated with these drugs, so much so that, since 2004, the Food and Drug Administration (FDA) has issued a black box warning on SSRI antidepressant drugs, the strongest action the agency takes before withdrawing a medication from the market. Complications of SSRIs include physical symptoms, such as insomnia, nausea, muscle pain, and diarrhea. More seriously, the drugs have been implicated in reduced clotting time, and increased incidence of stomach and uterine bleeding. The risk of internal bleeding is equivalent to that associated with non-steroidal anti-inflammatories (NSAIDs). When these two medications are used together, the possibility doubles. Sexual complications include reduced libido, decreased sexual performance, and decreased sexual satisfaction. When coupled with the depression for which antidepressants are usually prescribed, these complications lower, or even counteract, a patient’s overall sense of well-being. Equally troubling is evidence that antidepressant use affects the metabolization of other drugs. SSRIs are broken down in the liver, as are other medications. Patients who are prescribed antidepressants must make their physician of all drugs they are currently taking. The presence of antidepressants in the liver can increase the freely circulating doses of other drugs in the bloodstream, with potentially dangerous complications. The most dangerous antidepressant side effect is increased reporting of suicidal thoughts and actions by patients taking SSRIs. It is this effect that caused the FDA to issue its black box warning in 2004. Now, every package insert for SSRIs includes the black box warning, notifying physicians, pharmacists and patients that SSRI use has been implicated in increased suicidal ideation, increased hostility, and agitation in both children and adults. This warning is based on statistical evidence gathered from detailed analysis of published clinical trials. Pregnant women who are prescribed SSRIs show an increased risk of giving birth to a child with a low birth weight, with pulmonary hypertension, or with respiratory distress. Infants have been noted to experience withdrawal symptoms after birth, including jitters, crying, and, in the most extreme cases, seizures. Anyone who suspects they have experience serious side effects and increased danger due to their use of antidepressants, should contact an experienced medical injury lawyer to investigate possible legal action. While medical science has advanced its treatments of clinical depression, evidence continues to be gathered that the unintended consequences of new treatment protocols may outweigh the benefits. Every new piece of evidence reported by patients, either to their physicians or to their attorneys, is evidence that action should be taken to correct a problem with these drugs’ continued use. Medical product liability attorneys and dangerous drug lawyers work with victims to establish a chain of causation between the use of antidepressants and unintended negative side effects. The government, pharmaceutical companies, physicians, and pharmacists are charged with ensuring the public good. It is the legal profession’s role to ensure that these entities perform their due diligence to avoid negatively impacting people’s lives. An experienced legal team composed of a number of specialists will review a patient’s medical records and gather the appropriate medical literature that supports their client’s case according to established statutes and legal precedents. Currently, several potential class action lawsuits are gathering evidence to launch a legal challenge against manufacturers of SSRIs, including Prozac, Effexor, Lexapro, Serzone, Symbyax, Zoloft, Paxil, and Celexa. 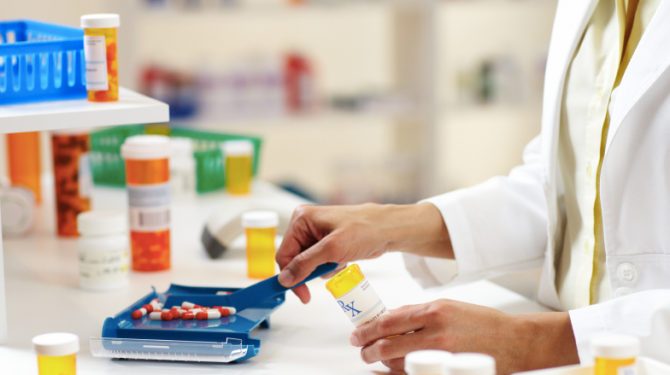 Pharmaceutical liability lawsuits seek compensation for injuries sustained through the use of potentially dangerous drugs. These injures can be incurred either by dangerous side effects that should have been documented in clinical trials, but were not adequately investigated prior to the drug’s approval. They can also be incurred when the drug’s manufacturer, the patient’s physician, or the dispensing pharmacist fails to provide sufficient guidance, warning, or education regarding the implicated drug’s use. Other responsible parties can be skilled nursing facilities, home health agencies, inpatient hospitals, or franchised pharmacy chains. The increased use of antidepressants has revealed that these drugs are not as safe as they were once assumed to be. With professional legal counsel, patients who feel they have suffered from the use of these potentially dangerous drugs have recourse in the courts to receive just compensation for their injuries.